Love owls? What if you could become one and see the world from treetop height? Spread your wings with this blissful new series. Imagine that you too can fly! 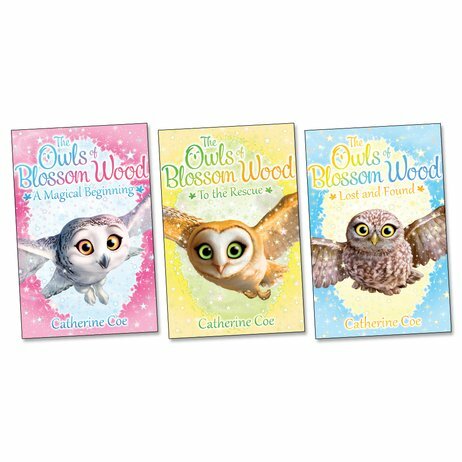 In Blossom Wood, there’s a special tree with a magical secret. When Katie, Alex and Eva sit in its hollow trunk one day, they find out what it is. Hoot! In the blink of an eye, they’re no longer girls but beautiful owls. Why has this happened? Well – the wild creatures of Blossom Wood need their help… Hours of woodland magic!